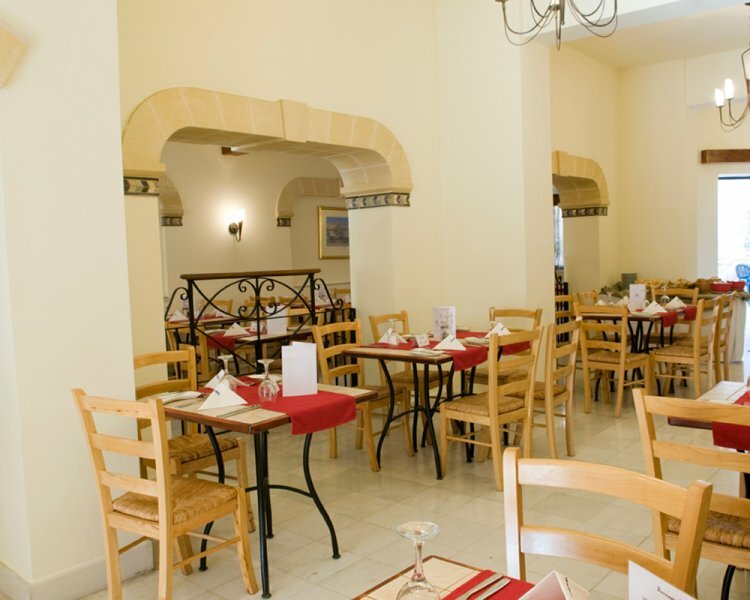 The Sunflower Hotel located in the town of Qawra, on the north coast of Malta, is the ideal destination for singles to enjoy a holiday to themselves. The hotel has a range of facilities and comfortable rooms to ensure solo travellers have all they need to enjoy a wonderful holiday in Malta. At the Sunflower Hotel guests have a range of facilities to enjoy at their own leisure. Head on up to the rooftop terrace for panoramic views of the surrounding area. Here you will find the outdoor, rooftop pool and poolside bar- the perfect location to spend the day sunbathing in the Maltese sun. For solo travellers looking to pamper themselves while on holiday, the Sunflower Hotel has its own wellness centre where you can truly relax and unwind. Offering guests a range of treatments in a serene environment, the wellness centre is tailored to provide guests with the ultimate spa experience. Here guests will also find the indoor pool which is open all year round. As well as the pool and spa facilities, the Sunflower Hotel also has its own dining options. As previously mentioned, the rooftop terrace has a pool side bar which serves snacks throughout the day, so you don’t have to worry about leaving your sun lounger to go for a meal. For breakfast and dinner options, the Geranium restaurant, located on the ground floor of the hotel serves a delicious selection of international and local Maltese dishes in a buffet style. With both indoor and outside seating options, the Geranium restaurant is an enjoyable location to spend the evening. For solo travellers, the Sunflower Hotel offers guests both standard and superior rooms. All of the rooms have a bright and airy feel, with light décor and modern furnishings. With more space than the standard rooms, the superior suites offer guests larger terraces with their own sun loungers. Both types of rooms are fully equipped with modern amenities to ensure you have everything you need during your stay. 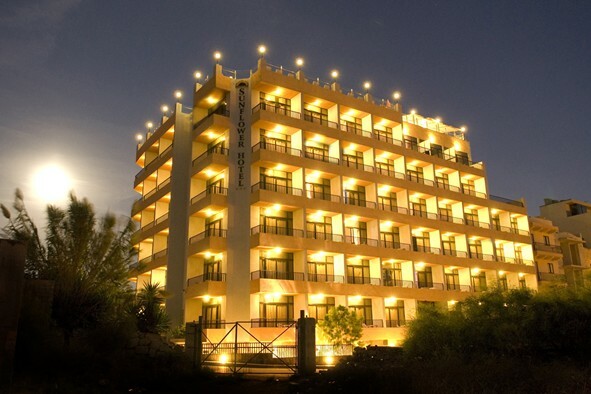 The Sunflower hotel is ideally located in the town of Qawra, one of three adjoining villages which make up St Pauls Bay. Just a ten minute walk from the waterside, the hotel is close to all of the town’s action. With daily snorkelling and diving tours as well as beach side lidos and a large selection of bars and restaurants, Qawra has plenty to offer people holidaying on their own. As well as all the activities on offer in St Paul’s Bay, the town also has great transport links to the rest of Malta, allowing guests at the Sunflower Hotel to easily explore the island. Additionally, there are daily boat trips from St Paul’s Bay to the Island of Gozo which takes approximately 30 minutes to reach. The airport is also easily accessible, just over a half an hour drive away, so there is no need to worry about long transfer times. For singles, the Sunflower Hotel is a great option. With plenty to do both inside and outside of the hotel, solo travellers have a variety of options to keep themselves busy and create a memorable holiday to Malta.